The Fedcap Group is committed to improving the long-term self-sufficiency and social well-being of the disadvantaged and vulnerable. For 85 years, The Fedcap Group has developed scalable, innovative and potentially disruptive solutions to some of society’s most pressing needs. Serving over 350,000 people each year, The Fedcap Group provides educational services to every age group, vocational training in high-growth industries, behavioral health services, work readiness skill building and jobs — all targeted to helping people achieve long-term self-sufficiency. The Fedcap Group also invests its time and resources in broader system change—working in partnership with federal, state and local government to improve the way services are designed, funded and delivered. Each practice area is overseen by a Senior Vice President with national experience and a deep store of knowledge in their area of focus. 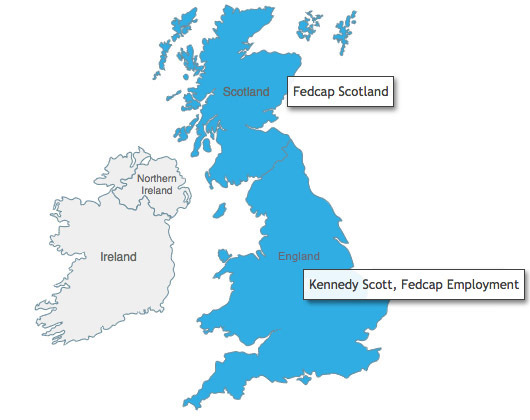 The work is delivered through the companies of The Fedcap Group led by Executive Directors with significant local knowledge and extensive operational experience and skills. This Matrix Structure allows The Fedcap Group to integrate its work across diverse systems and funding streams for greater impact. The efforts of the Practice Areas is supported by the Community Impact Institute – the discovery and research arm of the organization. Every day The Fedcap Group is improving the lives of children and adults with disabilities, veterans, youth transitioning from foster care, the chronically unemployed, the impoverished, those struggling with mental illness and recovering from substance use disorders, older workers and the justice involved. Achieve industry‐leading outcomes for individuals with barriers to long term economic well-being. Utilize technology across practice areas to engage populations and measure results. Replicate and scale successful programs in new locations to expand impact. Serve as a growth platform for like-minded organizations, achieving efficiencies and reducing overhead.